A kleptomaniac falls in love with a woman who is member of a gang of jewel thieves, initially unaware of her true occupation. VERONICA LAKE IS A QUEEN OF THE HUMOR!!!! 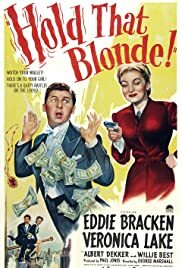 Wild and amused comedy very little well-known between the films of George Marshall, with surprising scenes that will make enjoy to all the lovers of the good humor.